Nearly every Western youth subculture in existence eventually gets its own Hollywood film. Like most such films, 1993’s Swing Kids—which tells the story of jazz-loving German youth during the rise of the Third Reich—managed to be both inaccurate and critically reviled. Roger Ebert hated the film’s celebration of “a very small footnote to a very large historical event,” and compared the Swing Kids to “Nero, who fiddled while Rome burned.” Ebert’s reaction is uncharacteristic of him; he writes critically of the film, but he also seemed to find its subject---the kids themselves---repellant. 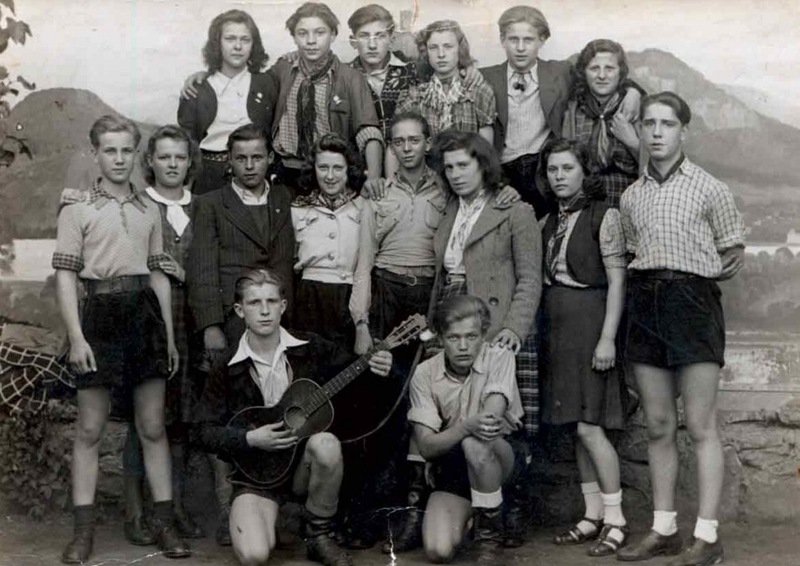 The review prompts us to ask: Were these kids---dubbed Swingjugend by the Nazis---participating in a revolutionary act of cultural resistance, or were they no more than typical, naive teenagers who preferred to “listen to big bands than enlist in the military”? (After all, writes Ebert, “who wouldn’t?”) But the question about the Swing Kids’ political motivations may be less relevant than one about whether their pursuit of a carefree, jazz-scored lifestyle under Nazism constitutes a “small footnote” in history. Should we know and care about the Swing Kids, and if so, why? We cannot assume the Swing Kids’ love of the music extended to a love for the people who made it. It’s more so the case that the Swing Kids “admired the British and American way of life,” and the free-spiritedness universally represented at the time by jazz in American and British films and records, to which German youth had some limited access. But in their battle for “self-determination and freedom,” informal groups like the Edelweiss Pirates, the Traveling Dudes, and the Navajos resisted subordination into a homogenized Aryan mass—the mechanism by which Hitler turned ordinary Germans into loyal abettors of mass murder. we’re yet bound in chains. no chain can us restrain. The references to violence weren’t purely symbolic. Swing Kid gangs fought Hitler Youth in the streets. Some Swing Kids, writes MessyNChic, became known for “tagging public walls with anti-Nazi slogans like ‘Down with Hitler!’ and ‘Medals for Murder!’. 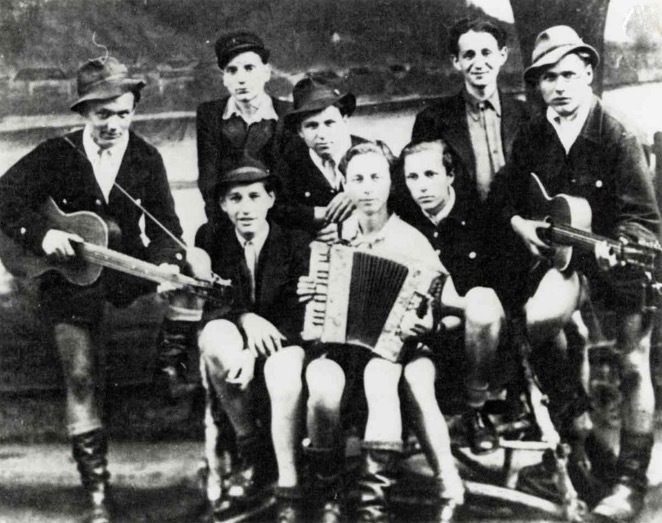 Throwing bricks through windows and sabotaging cars of Nazi officials… raiding military bases… derailing trains… even planning to blow up the Gestapo HQ in Cologne.” And as the educational site Music and the Holocaust documents, the Gestapo fought back “with special cruelty” against Swing Boys and Swing Girls. Again, none of this organized resistance constituted an explicit political program. “The Swing Kids themselves never intended to have any political effects,” writes Swingstyle, “they did not understand politics” and “they turned their backs on the reality around them: the Jewish roundups, the death camps and the steady stream of manpower reserves disappearing into the cauldrons of Russia and France.” Swing was a means of escapism and identification with the more relaxed, permissive “paradises” of America and Britain. Their embrace of an international, racially-mixed culture—jazz—was itself a radical political act in Nazi Germany, even if they had no theoretical concepts of what that embrace meant for the future of their country. And their violent rejection of the Hitler Youth makes them even more compelling. It seems to me that the Swing Kids do indeed deserve a celebratory place in history—and maybe they deserve a better film as well. Hitler did not survive World War II! If you think Hitler survived then you believe in ALIENS! If you believe in ALIENS than you also think there is more ICE and SNOW on MARS then we are told! I bet you think there may be a small atmosphere is spots on MARS. Maybe you will bump into Hitler on MARS Also! I had a vision that the this year 2019 something miraculous will happen just letting the world know now so everyone is prepared for the best. get ready.